PKR brings a rather unique online poker experience. With 3D graphics, animations and voice clips, it simulates the experience of playing live poker. Although some players criticise PKR for its slow gameplay and gimmicks, one can easily understand its appeal to recreational players. If you are struggling to find the fish online, look no further than PKR! 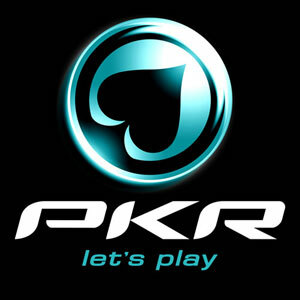 PKR jumped into the online poker scene in 2006, with the site immediately being noticed due to its unique online poker offerings. Compared to the lightweight clients offered by other rooms, PKR is a very large software item. The software itself takes a long time to download on a slow connection due to its sheer size, whilst the 'full fat' version also consumes a significant amount of memory when installed and running. Nevertheless, PKR does come bundled with a low-spec 'PKR Lite' for players annoyed by the graphics or unable to run such a memory-hogging process. The features of the PKR software are well-publicised. First, a player must design their 3D character, with body type, face, clothes and more to be selected. Some items of clothing can only be attained with PKR points, but there is a healthy array of free choice. Once sitting at a poker table, one is able to use several action buttons to control the 3D character and interact with other players. One can set the character's mood, say many phrases and even do a series of chip tricks. Although this is a fun novelty, it can quickly wear on the patience of a more serious grinder. Navigation is simple in the PKR lobby, with a user-friendly filter and game selector system. The spread of games is fair, but limited to Hold 'Em and Pot Limit Omaha. Low and high stakes players alike have ample choice, with standard speed and turbo tournaments at every buy-in level. As previously alluded-to, PKR has a disproportionate amount of weak players in comparison to other poker rooms. Players are charmed by the novelty animations - breaking the wall between live and online play. A truth universally accepted is that live players are weaker than online players, so PKR coaxes the live fish to play on their computers. Players gain 100 PKR points for every $1 spent in buy-in fees or rake. PKR Points can be exchanged for clothing items for your 3D character, or used in the PKR Shop to buy PKR merchandise. Although PKR items require a vast amount of points, they appear to be desirable and well-made items. This writer can testify to the quality of a card protector won in a PKR competition, for example. PKR players also ascend the PKR loyalty ladder with regular play. Players at each level gain access to additional freerolls, get PKR point boosts and tournament ticket birthday gifts, plus much more! PKR must be commended for their Raise Your Game training section. This portion of their website is devoted to strategy articles, with contributions from PKR pro poker players Vladimir 'Beyne' Geshkenbein and James Sudworth. The articles discuss strategy concepts, analyse hands from televised events and offer advice to players at every skill level. The traffic levels on PKR are quite variable. During daytime GMT hours, the games fill rather quickly. Away from peak times, the tables are rather quiet. PKR is still fighting for its share of the market, but has 15,000 players online at its busiest times. PKR accept the usual range of European deposit and withdrawal methods. These include all popular debit and credit cards, wire transfers, NETELLER, PayPal, Moneybookers and more. It should be noted that PKR do charge a $2 fee on all withdrawals of less than $50.